The Teenage and Young Adult Survival Handbook covers suicide (understanding/prevention), bullying, children of alcoholics, child abuse, self-esteem, dealing with dysfunctional homes while coping with school, learning patience with oneself while trying to change, surviving the holidays in a dysfunctional or abusive home. School has started, which can be hell for some kids due to bullying, abuse and more, resulting in suicide and running away. 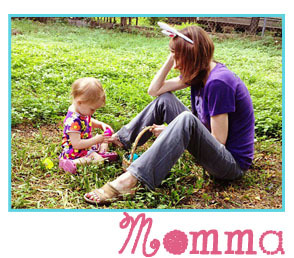 With your help, we can fight this epidemic! Media veteran and New York’s nationally recognized and award-winning child advocate, Steve Simpson, wants to help victims, like himself, and he offers the ’13 reasons why NOT to commit suicide’ below. He has also created The Teenage and Young Adult Survival Handbook — a small guide that is included in all four of his YA adventure novels which covers most of the topics plaguing young people today—suicide, bullying, sexual abuse, physical abuse, verbal abuse, self-worth, being the child of an addict, living in a dysfunctional home, surviving school and more. Simpson was even recognized by President Barack Obama, former New York governor David Paterson and the County Executive of Nassau County for his efforts on behalf of abused children. Everybody I know who thought of suicide were glad they never did it; Things got better! You are not alone. Other people have your problems too. There are solutions. Ask for help. No problems or pain can last forever, things can work out, you can be happy; have faith. Your parent’s problems and addictions are not your fault. You’re not responsible for people abusing you. The negative things said about you or that you think about yourself are not true. Even though you don’t think your pain and loneliness will go away, it will! You don’t need suicide to escape your pain, being abused or bullied; there are other ways. Don’t give up! Things get better faster than you ever thought they could. There are people waiting to help you who will care about you and your problems, help is free. Your problems don’t make up who you are; ALL problems can be solved. Your life has value; you’re smarter, talented and more loveable than you think! There is always hope, sometimes we just need people to help us see it. No matter how bad things seem things ALWAYS get better! 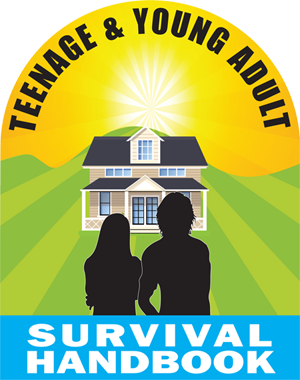 The Teenage and Young Adult Survival Handbook gives personal and firsthand experience to let its readers know they are not alone with these problems, giving examples on how others have survived and most of all hope. The Teenage and Young Adult Survival Handbook provides resources of different avenues where one can get hope and does encourage its readers to speak with school social workers, psychologists and counselors. Because The Teenage and Young Adult Survival Handbook is located with young adult author Steve Simpson’s four action fiction novels the youth in crisis is not embarrassed in asking for it or being given the books. 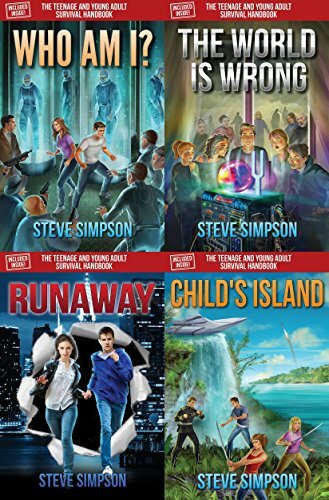 Many read Steve’s four exciting novels, Child’s Island, Runaway, Who Am I? and The World is Wrong, for entertainment, this camouflages a young person wanting to read the Handbook from unwanted attention. This also makes it much easier for a professional, concerned adult or peer to give the Handbook to a young person without having a confrontation because it’s connected with fiction novels. A fantastic gift for any young person who likes to read but possibly a lifesaving gift to a troubled teen or young adult.